Joe, Mike, Nick, and Sean discuss Mike's movie watching habits, Universal projects OF THE FUTURE, ticket price raises, mine trains, foreigners, HUBZ, your questions, and more! Email us at parkscopeblog at gmail dot com or follow us at Parkscope, ParkscopeJoe, CaptMichael87, MrX_381, and/or Parkscope_Sean. Well, in a bit of a muted bombshell, Universal Studios Japan operator USJ Co. has announced they are looking for sites to build another park. The story comes from The Asahi Shimbun, and says that the park is stretched to its limits when it comes to space, and with the park's capacity ballooning up to 10.5 million last year, they need to look for a new site to work on. The story says there are five potential sites, one of which is in Japan. The others are expected to be highly populated Asian areas with growing disposable income such as Taipei in Taiwan, Jakarta in Indonesia, or Mumbai, India. The big question is if the park ends up in Japan, will it be another Studios park? Or will we see a new version of an Islands of Adventure for the Japanese audience? Whatever the case, it's another interesting move for Comcast's growing theme park empire. As always, stay connected to breaking news through our twitters @Parkscope, @Parkscope_Sean, @CaptMichael87, @parkscopejoe, and @MrX_381. Joe, Mike, Nick, and Sean talk KidZone, hotels, fires, and your questions. With 150% more 'unfunny' questions! Should we be excited for Avatar? Joe and Sean! Games! 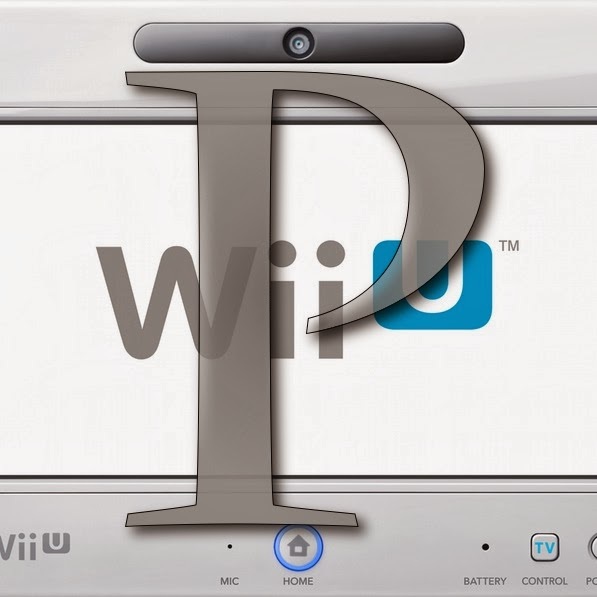 WiiU failures! Joe got a Vita? What we've been playing! What we're looking forward to. And we try to slap those in the face who think game consoles are dead. So last weekend, as you know if you listen to the podcast, I was in Walt Disney World for the half marathon and Marathon Weekend. While there, I used the Disney Dining Plan for the first time in years, and ate at plenty of new (for me) restaurants. Overall I found Walt Disney World dining to be fantastic this trip, as well as finding some new favorites for future trips. On our first day in the park, we ate at a perennial favorite 50's Prime Time. I know quite a few people are no fans of this place, but my family loves it. The simple comfort foods are always prepared well, and the flavors, while simple, are always enjoyable. The server's shtick is also good fun. Their sarcastic ribbing never fails to entertain. I ordered the Mom's Favorites sampler with a mixed-berry smoothie as a drink. This meal comes with 3 smaller portions of the restaurant's biggest sellers; the meatloaf with veggies, pot roast with mashed potatoes, and fried chicken with greens. I had ordered this before last year, and found it to be a great way to get a lot of different flavors on one plate. The smoothie was just the right amount of tart, with the berries and the yogurt balancing out into a smooth, easily drinkable beverage. I wouldn't have ordered this if it wasn't for the Dining Plan, but this is definitely something I'd order again next time I went. The meatloaf was moist, and the pork/beef mix was a savory combo that was thankfully not over-salted. The tomato glaze topped the dish off with a good acidity. The veggies on the side were nothing special. Sauteed and lacking a little bit of the snap I desire, the green beans were the worst accompaniment on the plate. Still, I always like to have some veggies on my plate. The pot roast was my biggest disappointment on the plate. It was a bit dry, which it almost never is on the full entree. The classic flavor of the dish was there, but the meat just wasn't as enjoyable as it usually is. The mashed potatoes that came with it were delicious however, and were the first thing I cleared off. The fried chicken was, as always, the star of the restaurant. Moist, hot, and crisp, the chicken is one of my personal favorites on WDW property. Fried chicken, especially in a place like this, can easily become a dried out husk, but I've never experienced that at 50's. The coating is crispy and flavorful, and the slight tart of the greens is a great side. For dessert I ordered the famous PB&J milkshake, which always hit the spot. My sister had the veggie lasagna which she seemed to really enjoy, and my mom had the pot roast which she liked as well. This was the big question mark for our trip. California Grill has been a fairly divisive restaurant for the past decade or so, and no more so since the redo this past year. But my sister wanted to eat there, and I really wanted to try new restaurants on this trip. So we booked for a table during Wishes to get the full Cali Grill experience. And I for one am totally glad we did! About an hour or so before our ADR time, it started to pour in the Magic Kingdom, so we decided to high tail it to the monorail and head to the Contemporary. Once there, we were happy to be seated a good half and hour before our reservation time. This was actually a common occurrence during this trip, as we were seated early for every one of our ADRs. I knew what I was going to order before I even sat down, so I was worried that the notorious serving issues would rear their head that night. Luckily there was no such thing. Our server was attentive and quick, and we had dinner and drinks ordered within ten minutes of taking our seats. I ordered the Bison, my mom ordered the beef filet, and my sister the chicken. I also ordered a cucumber fizz from the bar, which was light and refreshing. I found the bison to be cooked perfectly. The meat was simply seasoned with peppercorn and salt. It was not overbearing, and the peppercorn gave it the perfect amount of bite. The meal was served with celery root puree, forest mushrooms, and bread pudding. The bread pudding was surprisingly like a Thanksgiving stuffing, and the celery root puree was almost a mashed potatoes stand in. The thing that really set the meal apart, however, were the mushrooms. I'm a big fan of mushrooms, and these were some of the best I've ever had. Savory and hearty, there were plenty of them on the plate. I'd definitely get this one again if I returned to the restaurant. My mom said her filet was perfectly cooked, but couldn't finish the risotto that comes with it as it was filling. I tried it, and I could see what she meant. It was definitely rich. My sister enjoyed her chicken and the kale that came with it, but was not a fan of the sausage portion of the meal. For dessert, my sister and I ordered the homemade fritters, and my mom ordered the chocolate cake. The fritters were fantastic. Warm, soft, and sweet with a banana flavor, they were pure comfort food. The dipping sauces that came with them (peanut butter, dark chocolate, and salted caramel) were a mixed bag from my perspective. I absolutely loved the peanut butter one, found the salted caramel to be middling, and was not a fan of the dark chocolate one at all. The chocolate cake was one of the richest things I've ever tried. The consistency was like a more-solid pudding, but I don't see how anyone could take more than a few bites after a full meal. Overall, I thought Cali Grill was closer to the raving reviews than the bad ones, especially when factoring in the terrific fireworks views. Another new restaurant for me, and another big winner for the family. I was actually working at the World when this one opened, but it received some pretty bad reviews from fellow CMs who ate here, leading me to avoid it until now. But I'm definitely glad I finally gave it a go. First off, the place has the impeccable detail that the Asia area of DAK is known for. The old statues and decorations that adorn the place are fantastic, and really put you in the right mind frame for the meal ahead. The menu is Asian and Asian-inspired meals, and a lot of different stuff you don't see at other WDW in-park eateries. For starters, I ordered some pot stickers for us. We were on the dining plan, so these weren't included, but we love pot stickers so they were a must. These were good, but nothing spectacular. The chile-lime dipping sauce that came with them was a real winner, however. The citrus mixed with the spice very well and added a lot of flavor to the dish. The slight garnish of diced peppers was also a nice touch. For my main meal I ordered the seafood curry, and this may be my favorite meal I had all trip, which is saying something. The big bowl o-curry, which really is huge, was expertly plated, which surprised me. The seafood was arraged on the outside, sitting in the light and delicate curry broth, with a heaping portion of jasmine rice in the center. Once mixed, the dish became a sort of thick stew. There was plenty of seafood in the broth, including mussels, clams, shrimp, scallops, and mahi mahi. All of it was cooked perfectly, and I had no grit from the shellfish that you sometimes get. The real winner was the curry broth, though. It was light and spiced perfectly. It only had a slight tinge of spiciness, which is perfect for me. It also stuck to the rice perfectly, creating a creamy, rich texture that made it a terrific comfort food. My mom had the Asian ribs, which were great. The sauce had the tinge of soy sauce that made them different from regular ribs, and the meat was fall-off the bone tender. My sister had the miso-glazed salmon, which she gobbled up without letting me take a taste. She said it was her favorite meal of the trip. Once the main meal was done, the real winner of Yak and Yeti came, and that was the cream cheese wonton dessert. Serve in kebab form on skewers with pineapples, the cream cheese wontons are one of the best desserts I've ever eaten. The wontons were fried, the oils bringing out the wonderful sweetness of the dough, and the cream cheese offering a rich filling. They're also covered in, if I remember correctly, a vanilla sauce and come accompanied with a scoop of vanilla ice cream. I easily at all of these, even though I was full from the delicious curry. Overall, Yak and Yeti is a new staple for the family. I'm going to touch briefly on this one. Teppan Edo, as always, was great. The portions are good, the entertainment is fun, and the fun of meeting other guests is nice. We tried dessert here for the first time, and the Green Tea cheesecake is an interesting new taste for me. With that being said, if not on the dining plan, I'd skip it and get something from Les Halles in France. On our last day, we went to the Polynesian and hit Kona Cafe for breakfast. Before getting to the food, I have to talk about the Grand Ceremonial House. There is a lot of hand wringing about the area thanks to the ongoing DVC construction at the resort. Many believe the GCH will be at least partial demolished and changed. Most think this is a horrible idea. Personally I think it's needed. While I think the 70s kitsch works for some parts of Walt Disney World, I don't think it should be around in a resort that charges 450-600 dollars a night. The Polynesian looks dated in a bad way, and it's not the impression it should be giving off, especially when the beautiful lobbies of Wilderness Lodge and Grand Floridian are so close. There's just no atmosphere, especially in areas like Kona and Tambu Lounge. They need to be special, and they just don't feel that way. With all that being said, the water feature needs to stay in some respect. That is a cool feature. Now, on to the food, which was very good. I had the Samoan, which is the restaurant's version of the eggs benedict. It is pulled pork hash topped with poached eggs, hollandaise sauce, and arugula. I thought this was one of the best takes on the dish I've had . The pork has was tender and bursting with flavor, the smokiness of the pork mixing terrifically with the creamy taste of the hollandaise. The eggs were cooked well, and the slight bitterness of the arugula gave the meal an extra dimension. My sister had the famous Tonga Toast, which she loved. I tried it for the first time with the strawberry compote, which helped the dish. I think the Somoan is far superior to the Toast, however, and is what I'll be getting any time I dine here. So, to finish this off, I want to go into some quick thoughts on the dining plan. We had the CM discounted plan, and using that we seemed to make out like bandits. However, I still don't believe the plan, when not discounted, is a good value for guests. It's certainly convenient, but you're losing out on money. Also, I think you should have a choice between appetizers and desserts as part of the meal plan. I'm sure the reason you only can choose dessert is that the desserts are cheaper to produce, but Disney's already making money off the plan, might as well give your guests the option. Overall, my trip's dining was terrific. It was great. It may have been the best aspect of the trip. Things need to be helped in WDW, but sit down dining is currently going strong, for me. Joe, Mike, Nick, and Sean are joined by Jon from InsideUniversal.net! We discuss the history of USH, our thoughts on the park, the Tram Tour, the differences between the two coasts, Black Lagoon, Transformers M&G, their version of Potter, and banter. Witty, hilarious, banter.